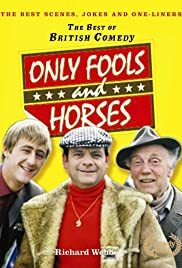 How many episodes of Only Fools and Horses have you seen? Traders and brothers, Rodney and Derek "Del Boy" Trotter, work from the streets of London buying what they can from the auctions and flogging it down at the market, always saying "This time next year, we'll be millionaires". Their Granddad and, later in the series, Uncle Albert also live in their council flat as the wise old man saying their next scheme won't work and offering in their jokes. Rodney: I don't think I'll ever laugh again. Uncle Albert: Well, as long as yer 'appy, son. Q: Is Only Fools and Horses based on true stories? Q: What is Boycie's full name?